Home » CJSF goes to Sled Island 2018! This year, CJSF 90.1 FM is headed to Calgary's Sled Island Festival, which kicks off tomorrow evening (June 19) and runs from June 20-24! 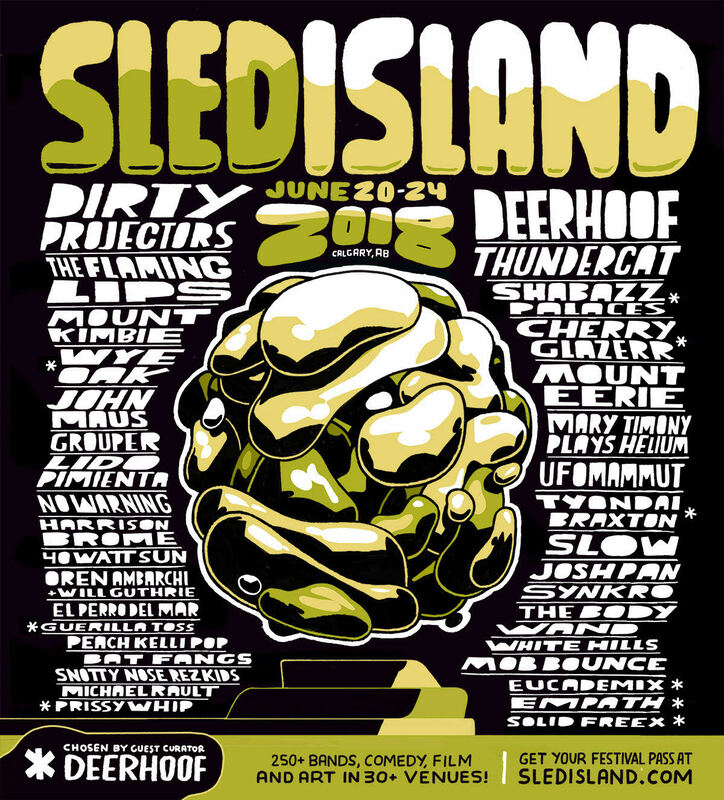 Sled Island 2018 features over 250 bands, comedy, film and art events in more than 30 venues across the city, including guest curator Deerhoof and many others! Check out the poster above and visit sledisland.com to learn more about who's who in this year's lineup and about the Sled Island festival itself. Don't forget to stay tuned to CJSF as we explore some of what Sled Island 2018 has to offer: tune into the Arts Show (every Thursday at 5-6pm, every other Thursday at 5-8pm) and keep checking cjsf.ca and our social media feeds (@cjsf on Twitter, @cjsfradio on Facebook and Instagram) for updates on this and many other events this summer!